OK, so it’s confession time – I’ve been up to no good. And there just weren’t any that were quite right. Well, it had to be done. 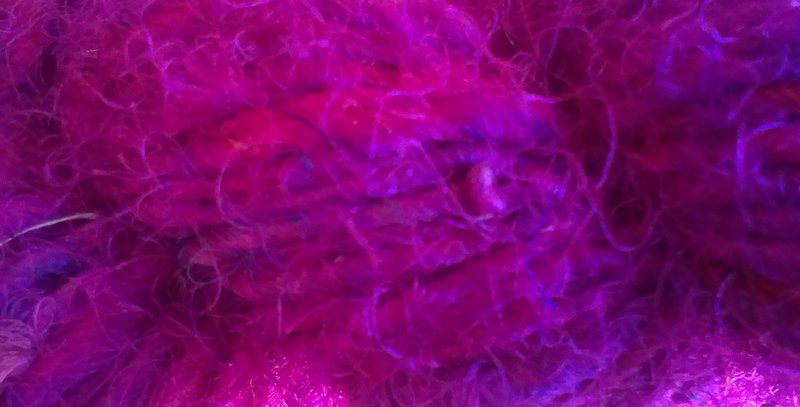 The yarn with the curly texture, is recycled sari silk. I probably wouldn’t have had the confidence to give it a go until I started couching, but now I’m feeling happy that I can use it even if it turns out to be a pain in the proverbial. 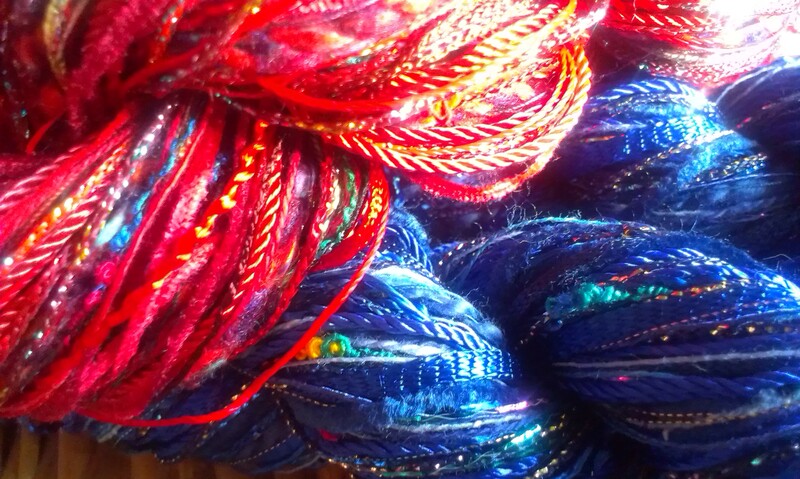 The mixtures are from Oliver Twists – I don’t so much want to stitch with these, as to drape them all over me and hiss ‘my precious’. Thank you to Rainbow Silks in Great Missenden for this little hoard. (And I don’t feel too guilty, it didn’t break the bank). I can feel something stained glass-ish coming on again. Better go and start playing. Gosh, those are all so pretty! I love the colours and textures. 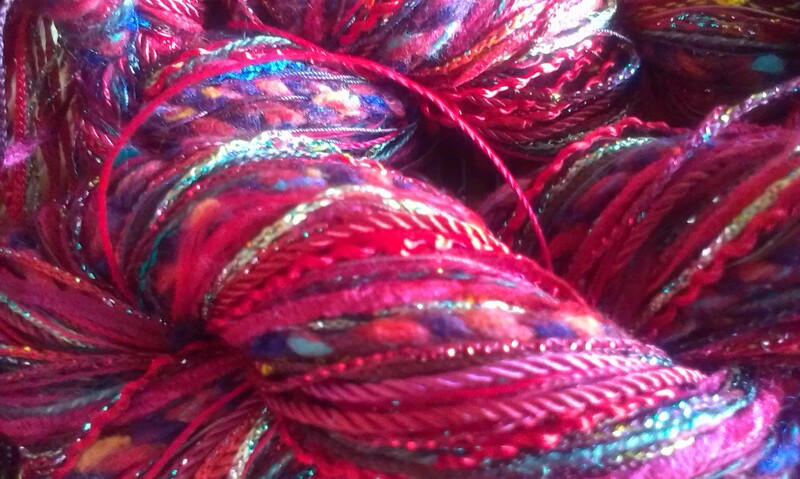 I know, they’re luscious aren’t they – I get such a thrill finding new yarns, I know the internet makes a lot of things easier, but there’s no substitute in my mind for being able to see and feel a thread – I just ‘know’ when it feels right. 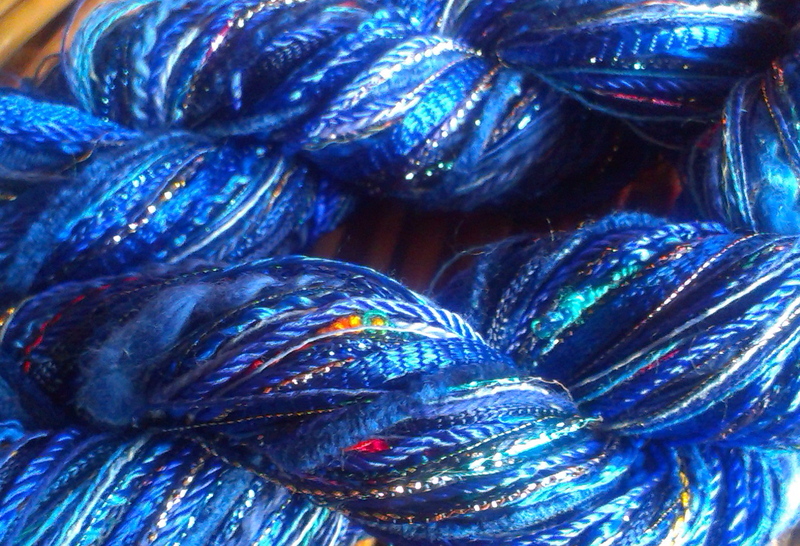 Guilty pleasures – and the sari silk is absolutely lovely.